Calling Athlone is a relational, installation and broadcast based art project that makes use of Athlone’s (Co West-Meath, Ireland) deep connection to broadcasting both past and present. The project aims to make this connection through an exploration of the technology and sites linked to the history of broadcasting in the area. 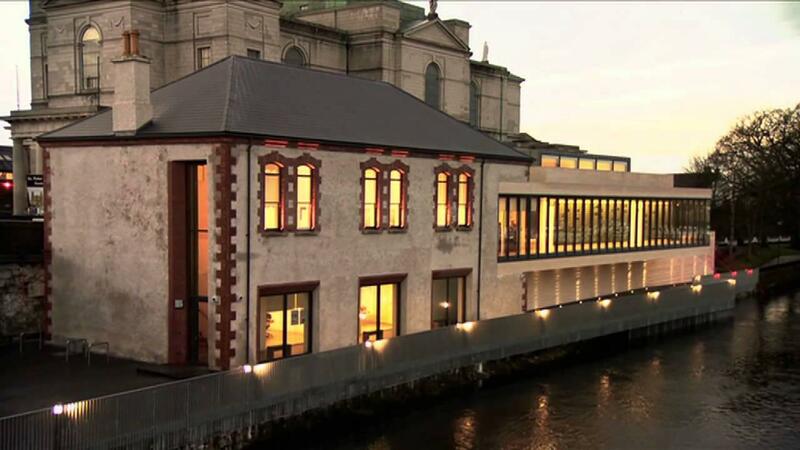 The project will connect communities within Athlone to their rich broadcasting heritage and the empowerment which broadcasting can offer while also addressing the intricate histories which came into being as a direct result of Ireland’s contested past. The project is to be centred on a series of workshops that will lead to the production of homemade crystal set radios by its participants and the material for a short radio documentary. The radio documentary will later be broadcast in the area and the participants of the workshops will be able to listen to the documentary about their contributions through the radios that they themselves have made. Crystal set radios are entirely powered by radio waves and require no additional electrical source, they are cheap and simple to make. 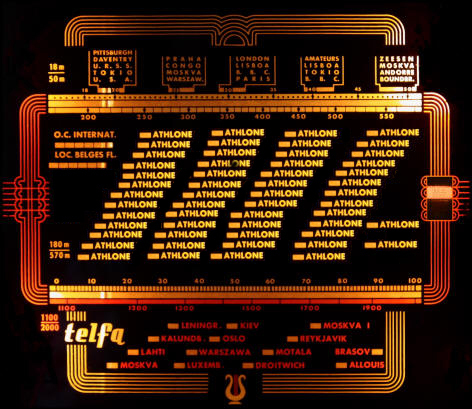 By distributing the knowledge for their construction and linking it to the legacy of innovation that for many years placed Athlone a relatively obscure town in the centre of Ireland on the map I will provoke new considerations amongst the local community regarding the legacy of technology. The project will culminate in an on-site installation featuring a recording of the broadcast played through the radios the participants of the project have built themselves in their own homes. The project will attempt to position historic research and knowledge regarding broadcasting in the area into the format of an engaged project for the community to provoke new considerations and relationships within the context of one of their most historically significant yet periphery items of legacy. Athlone is unique by comparison to the rest of Ireland in that it hosts four generations of broadcasting. 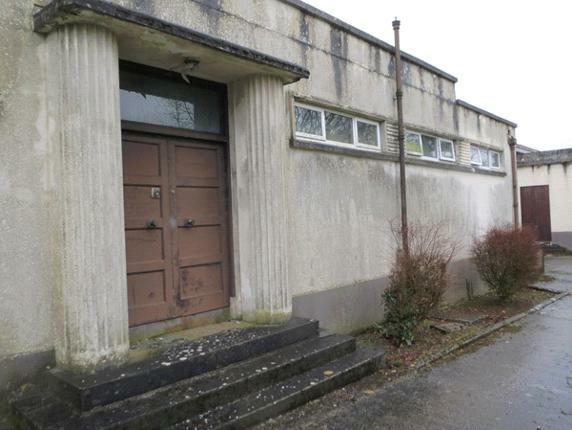 In 1926, as one of the newly independent Irish States first major public works projects and alongside the Ardnacrusha hydroelectric power station Athlone’s Moydrum transmitter station was built and operational by 1932, while not the only radio station in Ireland at the time it was the most central and highest powered, being capable of reaching far across the country and into far eastern Europe. 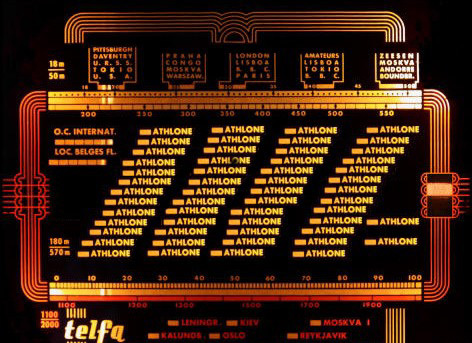 This centrality later leads to it becoming the consolidated headquarters of Irish broadcasting, later being re-named Radio Na hEireann in the 1950s, up until this point most European made wireless radios featured Athlone on the Dial between major European cities like Helsinki and Moscow. Until the 1970s the site played host to the country’s main broadcaster, later being used as the location of the 2FM broadcast. Athlone continued to have local broadcasting, today a prominent station in the area is Athlone Community Radio 88.4fm, and a community based station which has won awards for its programming among other things. The site of the transmitter is on the grounds of the Moydrum estate close by lies ruins of Moydrum Castle. The IRA burned this to the ground in 1921 during the war of independence in response to the burning of several rural homesteads by British Military forces. The ruins of the castle appear on the cover of U2’s An Unforgettable Fire, this further adds to the complex history of the site. Broadcasting continues in the area today through Athlone Community Radio which is now located within the town. The community is currently campaigning to have the Moydrum site and the history of broadcasting in Athlone recognised with the aim of transforming the historic location into a museum. The Athlone Marconi Centre Heritage Group is leading this effort. ACR 88.4fm, with support from the Sound and Vision broadcasting scheme, recently produced a documentary detailing much of this background story. A link to documentary can be found here. The site’s close proximity to the ruins of the then freshly burned castle in Moydrum, show an underlying contention where the state made use of formerly Anglo-Irish property, whether this was due to its abandonment, a form a re-compensation through purchase of the land is not known to me at this time. The father of modern radio himself Guglielmo Marconi (Italy) had close ties to Ireland through his relations via his grandmother who was Jameson (the same family responsible for the famous Irish whiskey and distillery) and of Anglo-Irish descent (ascendency class in Ireland, Families granted ownership of large estates by British authority during Ireland’s time as part of the United Kingdom), indeed it was this close connection to Ireland that lead Marconi to develop most of his earliest technologies with one of his transmitters still existing on site at the Moydrum transmitter. During his tenure in Ireland pre-independence, families like the Hancock’s at Moydrum would have hosted him as a guest. While the personal motivations Marconi harbored at this time are unknown he continued to work in Ireland as before post-independence. Radio… gives a voice to the voiceless and is a means for community development. Taking my cue from Athlone Community Radio’s own philosophy of radio having the potential to give a voice to voiceless I aim to host a project, which turns the very technology of radio into an emancipatory form of empowerment. I will facilitate this by giving people in the area the skills needed to harness both the power and information present on radio waves which are both omnipresent and deeply entrenched into the history of the town. By connecting this community to one of its most significant historical achievements I aim to transfer the spirit of ingenuity Marconi and other broadcasting innovators brought to the town from the past to the present. The project will put their accomplishments in relatable terms, in showing how to construct a simple radio we can also show how a radio as a concept in its expanded form works, both in the principals of broadcasting and the technology that allows for it. The aim of this artwork is to connect the existing communities within Athlone with their rich broadcasting heritage in consideration of the earliest days of the state and its ambitious projects which are in part a result of the momentum generated by the struggle for independence; this project will have several stages and outcomes including an installation on site in the Luan Gallery and a radio documentary. The project will work alongside two pre-contacted organisations through Mary Lennon; station Manager at Athlone Community Radio and Tommy Mollen senior engineer at 2RN on-site at Moydrum Transmitter and Member of the Athlone Marconi Centre Heritage Group. The project will begin as a series of workshops with members of the community, this community of interest will be invited through local platforms including dissemination through local radio, AIT students union, newspapers, parish diary and social media, it is hoped in this way that a broad demographic of people from the locality will be involved. Once the community is reached, they will be invited to participate in a guided visit to the historic Moydrum transmitter location and the ruins of the castle. Later in the process they will be asked to participate in evening workshops, which will be located on site at the Moydrum transmitter. During these workshops the participants will be shown how to construct simple crystal set radios as well as an introduction into the basics of radio electronics, the group will then be asked in response to build their own Radio sets based on these instructions and overseen by the artist on-site. A small short-range portable AM transmitter will be brought on site by the artist to test the newly constructed radios. This entire process will be recorded in audio and alongside interviews with the community will be used as material for a short half hour radio documentary. A member of Athlone Community Radio, with the aim of using this material to produce a corresponding half hour radio broadcast about the project, will record this process. The participants will be invited to help produce a pre-recorded broadcast and shown the equipment a computer programs used today in modern radio stations. Athlone Community Radio has committed to have a producer on site for the duration of the project. The broadcast will be transmitted shortly after in one of Athlone Community Radios timeslots, all participants within range of this broadcast will be able tune their newly constructed radios to the broadcast. The program, which they produced, will play over the radios they built, as part of the workshop while radios themselves will be powered by the very same broadcast. Later the installation component of the project a selection of these radios will be exhibited on site in Athlone in the Municipal Luan Gallery, the audience will be able to listen to the broadcast itself through these radios with the documentary set on repeat, this will be possible due to a small short wave AM transmitter on site connected to an mp3 player. The radios will be placed in a row either on individual plinths, between 15 and 30 radios may be made as part of this project, the amount on display may need to be decided depending on availability of space. The general public as the audience will be able to interact with the installation by picking up the telephone handsets used as a speaker for the radio sets. The work will exist as both recording and artefact, both in the radios the participants bring home but also as an art installation, later in the year. Aside from this project’s main mandate, which is to provoke new considerations and relations to heritage amongst the community, project will also attempt help, promote the mandates of its main shareholders in the area. Athlone Community radio which has been in operation as a volunteer organisation since 2006 and who will by the project’s completion be in the 10th year in operation.  The Athlone Marconi Centre Heritage Group who are campaigning to have the location transformed into a museum.  The Luan Gallery, Athlone town center, a municipal art gallery ran by West-Meath County Council. Project will be promoted on local radio stations, open for all interested members within the community of listeners. I aim to specifically work with the Athlone Marconi Centre Heritage Group as my main community of interest but not exclusively. Project will also be publicized through social networking and through word of mouth within the community with the aid of the projects supporters. Workshop should be maximum 20 participants. 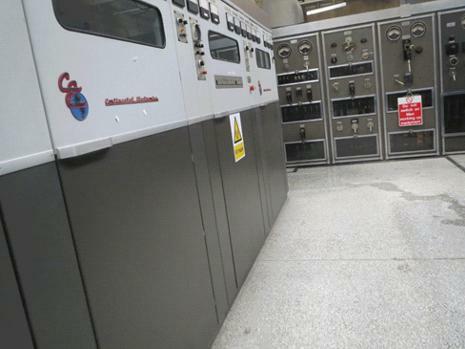 Permission for access to the Moydrum Transmitter will be sought through the official parameters. A carpool may need to be organised in order for people from the area to travel to the site, as the site exists on the outskirts of the town. The space for the workshop will be secured for an appropriate date, depending on supporter’s calendar and timeframe for producing radio broadcast. Prior to the workshop taking place the site will be subject to a guided tour either overseen by Tommy Mollen or designed by him. Workshop is held over half a day from noon till evening.a. Beginning will consist of a presentation, segments of the “Athlone Calling” Documentary produced by Radio Athlone will be played mixed with a presentation summarising the history of broadcasting in Athlone. Referencing this source, which many in the community may be familiar with to expand upon the complicated histories within Athlone with particular relevance for broadcasting.b. A representative from Athlone Community radio will be present and will be asked to give a presentation regarding their work in the area and their connections to Athlone’s broadcasting history. This will ideally be the producer and interviewer of “Athlone Calling” Irena Cvetkovic, as she is intimately aware of Athlones broadcasting history having worked on the project.c. 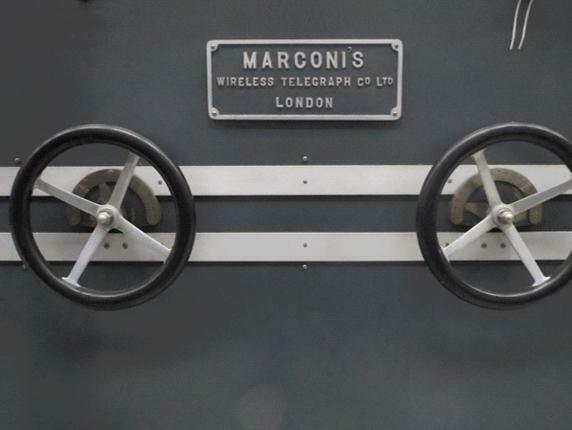 The basics of radio technology will be explained and will be related to the work of Marconi. This will focus on the actual physics of radio waves and broadcast, detailing how this immersive technology works and constantly surrounds us. This section will focus on many interesting aspects of broadcastings history both nationally specific to Ireland and international.d. The participants will be asked to share their own stories and connections to broadcasting, particularly members of the Athlone Marconi Heritage Group. This will be with the intent of creating personal narratives behind the participatory nature of the project and is also with the intent of producing a personalised aspect of the project. These “testimonies” will be edited and contributed to the production of the half hour documentary.e. Construction of the radios will commence overseen by artist, participants will be encouraged to experiment with the form and construction to see the results different designs may create. There is a limitation to the variation of forms and customisation that the radios are capable of hosting while still functionally detecting and playing radio waves. There will be an element of trial and error in this process; potentially some of the constructed radios may not be fully functional without major intervention by the artist. This aspect will be decided on site, on the fly.f. Tuning into local stations will test radios and short distance AM transmitter. I will bring on site. Currently AM broadcasting is being phased out in Ireland, both FM broadcast and the emerging Digital services provide clarity of sound and economy in operation. So the range of AM stations available at the testing stage will be limited, this will be worked around through the operation of a small short range AM transmitter, which will be brought onsite for the production of the project.g. During the process of the workshop, Athlone Community Radio will interview participants.h. Participants will also be invited to attend production of broadcast at a later date. Production of short half hour broadcast will commence using ACR equipment and artist’s own audio equipment’s. Artist has had previous experience with broadcasting at Wired FM Limerick so will be able to oversee the production at all points. Participant will be able to engage with this process and will be taught the basics of editing. Participants will be shown the studios and equipment used in contemporary broadcasting and will be guided in a tour of the station by Mary Lennon. The broadcast will air over ACR88.4fm and will be listened to by participants and wider community. It will also be available as a podcast from Athlone Community Radio website. The project will be represented later in the year on-site in Athlone through an existing art space or through a rented/disused shop unit within the town. The exhibition, in the Luan Gallery is not the culmination of the artwork itself, it is merely an aspect of its dissemination as opposed to the main material. The exhibition is more over an opportunity for the local community and the art gallery audience to interact with the artifacts which exist as a byproduct of the social engagement the project aims to provoke. The documentary, which will be broadcast on loop within the art space (A.M. frequency) and as part of Radio Athlone’s regular programming schedule (F.M. Frequency) will be a porous dissemination of the project throughout the area offering chance encounters outside of the regular parameters of an art audience. This documentary will also be hosted online alongside other supporting materials. 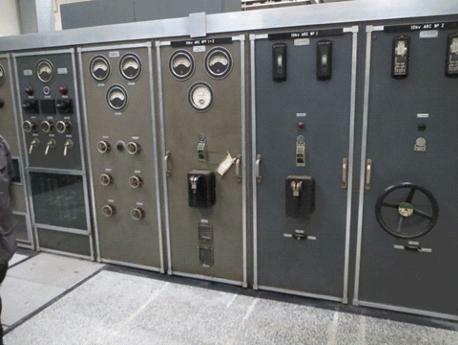 The following photographs document the Moydrum Transmitter site. These images provide context for the location in which the workshops will take place. Figure 1. 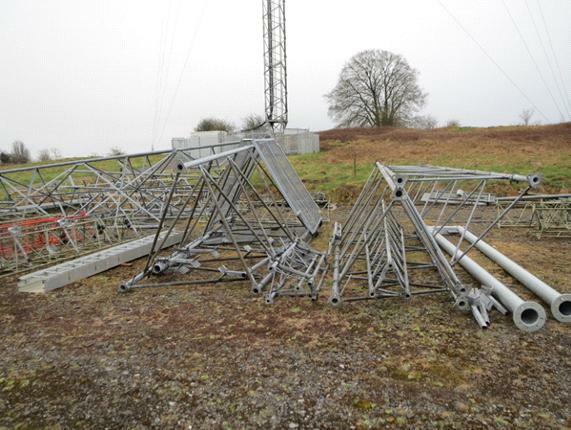 Disassembled broadcast mast, one of two on-site. Dismantled due to ill repair. Figure 2. Seemingly banal building in rural Ireland. Illustration 1: The Crystal Set Radios upon their completion will be displayed at the Luan Gallery, a location central to the town of Athlone and located closely to Athlone Community Radio.